Mayor Andre Sayegh gave a significant boost to Al Abdelaziz’s bid for his old City Council seat on Monday evening. “He’s a progressive thinker,” said Sayegh in endorsing Abdelaziz for the 6th Ward seat. He said Abdelaziz has been a reliable ally on the council over the past three months. For example, Abdelaziz supported the mayor’s initiative to move employees to the state health insurance program that will save a projected $200 million over the next seven years, said Sayegh. Frank Graves and Tom Rooney both represented the 6th Ward. Rooney retired in 2008 and backed Sayegh for the seat. “Everyone knows that I will work with anyone that’s going to help the 6th Ward move forward,” said Abdelaziz. Abdelaziz hasn’t supported all of Sayegh’s proposals. For example, earlier in the month, he voted against a fire inspection fee increase mayor’s administration sent to the council for approval. Abreu has criticized Abdelaziz for supporting the mayor’s levy increase in July. “People are tired of tax increases,” he said again on Tuesday afternoon. Abreu recognized Sayegh is immensely popular in the 6th Ward. “It’s a big endorsement. I congratulate Al on that,” he said. Sayegh represented the 6th Ward for 10 years from 2008 to 2018. In 2016, Sayegh had to defend his seat against Abdelaziz. He had to vacate the seat before taking office as mayor triggering the November special election. The council appointed Abdelaziz to the seat in July. “During his short time on the council, he and I have aligned our efforts. Irrespective of what happened in the past, we’ve been collaborating,” said Sayegh. Council president Maritza Davila has also endorsed Abdelaziz for the seat. Abdelaziz and Abreu are the only two candidates in the race. 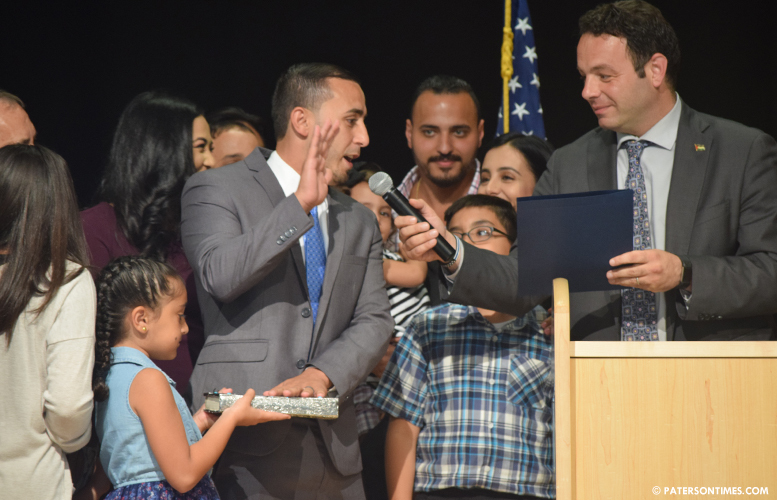 Abdelaziz works as supervisor of athletics at the Passaic City school district. Abreu said he is a certified engineer at LiftMaster of Whippany. He builds commercial motorized garage door operation systems, he said.